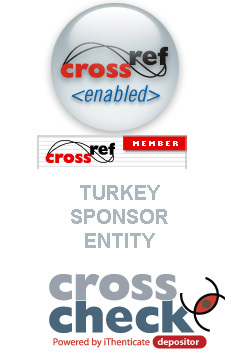 As Hanyazilim, we are providing DOI service through sponsoring entity given by CrossRef since 2012, and serving to Pressed and Online magazines within our local market via written agreements. The abbreviation DOI means “Digital Object Identifier” which is a unique numbering system that lets users to reach a content published over internet. Each DOI is definitely unique. Users may reach a DOI’s last updated version through DOI Hand book. In order to learn about the configuration instructions and more, please check DOI E-book. We are the exclusive DOI service provider for those Academic Magazines in Turkey since 2012 as DOI Sponsor Entity by given authorize of CrossRef. Please check http://www.doidestek.com website where you will find more information. Our efforts in terms of corporate web software still continue since 2001, and we are providing customized solutions through .NET Technology which totally meets with different customer requests. Please refer to References Tab in order to check our completed projects. With this software developed by HanYazilim and branded as Run Article, we are processing the monitor of Academic Articles. This user friend and online system lets the monitor of an article amongst editor, arbiter and author. Please contact with us via e-mail or phone in order to learn about the fee of registration to leading indexes such as EBSCO, DOAJ,ICAAP,Scientific Commons,MLA,ASOS,AMIR Access to Mideast and Islamic Resources),Journal Directory,DJS (Dayang Journal System). Horouz lets you meet with new people who loves to read books and helps you to swap your books. Enjoy the taste of exact sharing ! As Han Yazılım Co. we are serving to our customers with our software solutions since 2001. Based on the requirements of daily improvements, we did updated our abilities as well and jumped to .NET technology in 2006 additional to traditional .asp and .html softwares. We have our own server in İzmir, and we keep all our projects in there. After rewarded by Ministry of Education as the second best project education sowtware holder in 2006, we fired up our operations and turned into a national service provider rather than a localized one. With our customers located in local market and even international market – from Istanbul to Paris – we are adapting internet technology to our business more and more. Our team consist of academic professions, software enginners, and dilettante young people. We always believe that, a successful project needs imagination, defining and accurate planning and correct strategy, considerin and foreseeing all possible circumstances, getting benefit of technology, and a perspective of modern IT approach. Referanslarımız için bilgi almak için lütfen bizimle irtibata geçiniz. DOI – Digital Object Identifier – is a unique numbering system for an intellectual property or a part of it over the web. Each DOI is definitely different than other. Information about a digital object may change over the time but DOI is stable and never changes. A DOI may represent the table of contens regarding to a magazine, a picture, a musical copyright, or a movie as well as a bibliographic tag, summary or full content of a book/magazine. That means, DOI may represent each single content – like as only one page of a book. Managed by International DOI Foundation and named as “ISBN number of 21st Century” , DOI is used to tag digital objects, storage them, and make them reachable via internet. CNRI ( Corporation for National Research Inıtiatives) which is a non-profit company is the one who created a desultory and scalable computer sytem lets users to reach DOIs. n order to understand the advantage of a DOI, please remember “404 File not Found” error which actually means the file is moved to another directory. So how to find it again ? At that point, DOI lets you to find a document even it is moved to another place. Regardless where it is moved, no need to search it anymore, but just type the DOI number and it is right over there ! You can see an example of DOI number given by International DOI Foundation. The DOI number 10.1016/[SICI]S1384107697000225 consist of two parts. Prefix and suffix. These two parts splitted by a “/” sign. Prefix number which is 10 in this example, represents the International DOI Foundtaion. Each DOI includes this number. When it comes to “1016”, it is the number that is received by DOI agency on behalf of publisher. The publisher is free to define the rest of the DOI – after “/” sign. Editor may change the file name and other relateds info , then upload it again into system. Editor may reject a study with a single click without need of an e-mail. This action is created for those studies contrary with spelling principles and for those studies ranked as unable to be published. When th editor reject the study, author receives an automatic message. That means, editor’s one click starts the system to handle rest. Editor may delete the study of an author from the system, with no necessity of a reason or may archieve it in order to check it in future. Moreover, editor may add a note for said study that is only visible to himself, but not to author. Editor may transfer the study to any number of Arbiter. All transactions applied on a study are recorded and marked by icons. One month of time limitation starts as soon as the editor transfer it to any Arbiter. A notification message is sent by system to related Arbiter once the time is up. Articles can be seen as categorized inside the “Published Magazines” menu. Editor may edit whole studies in the system. Editor is able to see “In progress”, “Newly added”, “Confirmed” and “Rejected” studies separately. Next editions or Special editions may be planned over the system. Author can mention the edition number to which he wants to his study to be added when he sends the study. That lets editor to manage studies better and be aware of the separation among editions. (No conflict between usual editions and special editions). This also lets editor to evaluate the study based on type of edition. There are more than one Evaluation form those are created based on the type of study, so Arbiter uses a different evaluation forms for each different stıudy. For instance ; evaluation form for Copyright and evaluation form for Translation studies differ form each other. For those studies regarding to Copyright and Translation studies, author or translator is able to add their own studies as pdf, word, or jpg as well as editor. Editor may monitor the Arbiter details such as which arbiter has how many articles under control, when the arbiter received any article, and many more details under the Arbiter Details menu. This allows editor to evaluate the Arbiter’s as well. To avoid summarized informations when an author upload his study into system, an auto-check system is developed that enforce the author to fill all necessary data. Author owns an e-mail box that lets him to contact with Editor. This way, editor, Arbiter, and author get the chance of contacting each other by mail over the AMS system. Mails are archieved as well. Studies can be added to AMS under different categories and parameters based on the type of study. Author receives an auto-message regarding to any process applied on his study.